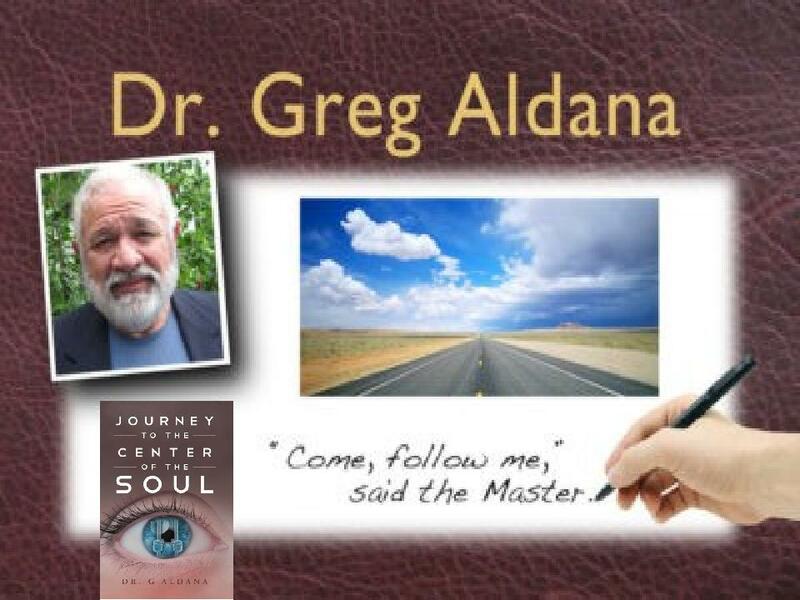 Dr. G. Aldana "Dr. G"
So I began to do my research and write like crazy. When I got my first rough drafts together I tried to send it to the pastor of a large church where Celebrate Conferences were held. I thought I needed collaboration. The pastor was not interested. I did not let this discourage me. My wife encouraged me, with gentle force, as only a woman can do, when she told me, “…do you really think God would have you write a book to help His church and just have you sit on it? Send it to a Publisher and see what God does.” My wife is a writer, so she coached me and warned me both. She told me not to expect much as I send out my one page Summary to a host of publishers. I sent my book 1 page summary to two publishers and both responded positively. My wife and I agreed, this must be God. I am inspired to write this Blog, not by my own works but by watching the movie called “Julie & Julia” with two of my favorite actors, Meryl Streep and Amy Adams. This was a great movie about a young lady who began to blog her way through a cook book by Julia Child. In the process she learned the Art of French cooking. I hope that by the end of this blog, I learn the Art of being an Author and maybe, in the process, I can help others become authors as well! Just a note: I’m a pragmatist. Even in my theology I lean toward “practical theology” not religion. The religious (a spiritual yeast infection) have always been a stench in God’s nostrils. It was, and still is, the religious who killed Jesus. The religious still want to be in control and have power over people, even over God himself (Jesus). In my quest for Jesus and practical theology, I always want to know how it’s done (The Way of Christ) so that I can teach it to others. One of the ways it is done is by explaining a personal journey to others; some call it testimony. In this case, I call it a blog of an Author’s Journey. Since I am already a few months into my journey of learning how God is making me an author, I’ll have to start by re-capping the past events to bring the readers and this blog up to date. So here goes. I’ve been, what is called, a high functioning alcoholic for over 60 years. I’m now clean and sober for almost 2.5 years and climbing! Thank you Jesus! I grew up an alcoholic. Without going into too much detail, I give all the detail when I speak publicly, I was traumatized as a very young man over 60 years ago, since 2015. My parents were considered just above poverty level so they didn’t have a lot of options available to them. They also didn’t believe me when I told them about my trauma. So I learned to deal with my problem the way I saw my dad doing it. Since dad was an alcoholic, booze was readily available to me. I drank and later added drugs, all the way through elementary school, high school and, of course college. After graduation I became an administrator for the government and then aerospace companies with secret clearances. Drinking always seemed to fit in with the business culture. I later went to Seminary and became a Presbyterian Minister of the Word and Sacrament; that’s long for Pastor :-). Even later I planted churches, ministries and became a non-denominational (so to speak) Pastor. Now I co-own a company (with wife), take care of my 90 year old mother (full time), play music and write while committed to my own recovery program day by day. I was the major reason I had three other failed marriages, several car wrecks, and many personal and professional relationships ruined. I am now married to my fourth wife, almost 30 years thank God, and I almost ruined this marriage as well. I believe the only reason I was not able ruin this marriage was because 31 years ago I remember asking God for a Christian woman who would stick with me. God sent Carol. I had no idea how tenacious she really was. Nevertheless, she finally put her little co-dependent foot down a few years ago and called the police and had me arrested. I could have become bitter and resentful over my incarceration but instead I cried out to God in jail and by the time I was let out of jail and began to come out of denial as well. I finally realized I am an alcoholic (I have the disease) and I needed help. It was shortly after I started my personal recovery program (AA, Celebrate Recovery, much reading material, counseling, etc.) and after the years of alcohol began to finally leave my brain (took months), I began to hear God clearly again. While at a 2012 Recovery Conference someone asked me what I was doing on campus and I said I was with the Recovery Group. She said “Oh, your with those people over there” and pointed to the conference room, as if I didn’t already know where I belonged :-). In that instant, God immediately spoke to me and said, “. she thinks she is not one of ‘those people over there’ and she is, in fact my whole Church is”. Then God told me to write a “bridge book” for those people who don’t think they are in need of recovery. God since inspired me to write the book for small groups so they could do this in their own small groups without going to an AA or CR meeting and worrying about the stigma and rumors associated with typical recovery groups. Therefore, more people could take advantage of recovery tools in a “bridge book” for whatever hurts, bad habits, bad addictions or hang-ups they might have. As I responded to God’s prompting, a book was born in the summer of 2013 and I called it; “JOURNEY to the CENTER of the SOUL (JCS)”. My wife encouraged me, with gentle force, as only a woman can do, when she told me, “…do you really think God would have you write a book to help His Church and just have you sit on it? Send it to a Publisher and see what God does.” My wife is a writer, so she coached me and warned me both. She told me not to expect much as I send out my one page Summary to a host (hundreds) of publishers. I sent my book 1 page summary to two publishers and both responded positively. My wife and I agreed, this must be God because this kind of response and luck is highly unusual. I sent full, rough draft, manuscripts to both the potential Publishers. One was in India and the other in New York. NUGGET: I sent my rough draft manuscript to a local editor to get it ready to send to the publishers. There are many people to choose from, I did not pick a good one so I will not recommend her. She put it in the required Publisher format (i.e. editing, copyediting and proofreading documents for typographical errors, grammar, punctuation, tone, content, and consistency and imposing guidelines provided by The University of Chicago Press Manuscript Preparation Guidelines on the Author’s information, etc. ). She was nice to work with and did a good job with the Guidelines but her proofreading, grammar and consistency was weak. I had to re-work all the work she did for me and she cost me $600. Then I just sat on the manuscript for a while until I got another kick in the pants from a friend..
Recovery friends named Brian and Shelly were at a meeting I was attending and when Shelly asked me about my book, I told her I was kind of sitting on it for a while. Shelly got stern with me and said, “If God told you to write the book don’t you think He also wanted it published so others could benefit?”. That got me going again. Thank you Shelly! “you should feel proud because we (they use a committee) have decided to award you a contract. She continued… You may not know that we get about 80,000 thousand submitted manuscripts a month. We through away most of them an select a few to review by committee. Yours was one of the ones we selected this month”. In April of 2015, she e-mailed me the contract and snail-mailed me a hard copy to sign and send back. It took a few minutes, but when she hung up the phone and I saw the e-mailed copy of the contract, I began to smile, from ear to ear, and my wife and I hugged each other and, finally, sat down and prayed to God thanking him for orchestrating the whole thing. It finally hit me!… Yet, I had no idea at the time, that God was not done orchestrating. Along with the contract, Page Publishing sent me the whole protocol and process so that I could establish some kind of timeline. I was so impressed with the Page Publishing process and the team approach they take to put a book together. I had no idea it was so complicated and was going to be so time consuming. I also had no idea my book need much more work and I had to be involved. NUGGET: The Page Publishing Literary Agent I was working with then handed me over to what they call a “Publication Coordinator” who is my primary contact with the rest of the Page Team that is working on my book. I am currently in the 3-4 month “editing process” where I am in the tiedeous process of reviewing all of what the Page Editors have done. As I’m doing this, I’m realizing I’ve made some mistakes on my original manuscript. This is a slow process because I have to read the manuscript, again, to see what their editors have changed and make comments/suggestions and correct any mistake I have made. Whew! THE BUMP: I received my manuscript back (had access trough my Page protected portal) in Adobe Publishing format which (Adobe) was an unfamiliar venue for me. It would have been costly for me to purchase the Adobe software and I knew there would be a large “learning curve” to learn how to use it to respond to the editors. In addition, I ran into a communication problem with the Page Publication Coordinator (PC) because we were not understanding each other. This slowed down the process and, I have to admit, I was beginning to get discouraged. I tried to talk to my PC’s boss but I ran into the same kind of communication problem. I finally was able to talk to the Director and probably because we were about the same age (old farts) and we were male (we both spoke Martian vs. Venus-tion) :-). We (Page and me) finally understood each other and he gave me a simple solution to solve my problem. TIP: The Director said, “just ignore what our editors have marked up and underscored and just look at the final product without trying to understand how and why they go there; that’s what we do!” We both laughed out loud LOL, and I was back on track working again with my original PC. NUGGET: They also understood that when things get complicated or difficult for either party, a phone call is so much better than e-mail. E-mail can be a problem just because you can’t hear the tone and catch the real meaning of what someone is saying (writing) in an e-mail. Now my PC calls me occasionally to make sure we are “on track”. What a relief. At some point between getting the award and working the process my PC asked me what was the address to my “Author’s Platform”. What? This caught me off guard because I had no idea what she was talking about. I told her I didn’t have one and my PC said as soon as I get one that I will need to send it to her. I thought I had found a fellow Christian to help me who actually went to my same church. She had done a good looking Author’s Platform already, I asked for and received a web address from her to look at her previous work. However, when I contacted the author she did the work for I could not get a recommendation or even a reply. This should have been my first red flag. Turns out she did good work but lacked in communication skills and good business skills, I’ve occasionally had this experience with a few Christian business people before, but in this case, it broke my heart because it was a stumbling block for me. The Author’s Platform was a major piece of the puzzle I needed to get going right away. So, as I’ve learned over time what to do next, I knew what I had to do…. I got on my knees; I let go and let God, and prayed for this difficult Christian business lady and for her business success. Then I asked God for help. God knows what I need and when I need it so I could keep my ears open and wait on God. NUGGET: I found out that, these days, you can’t be an Author with any hope for reaching your target audience, and of course increasing sales, without an Author’s Platform (AP). And what is an AP? An AP is a specific web page designed for your readers (those interested in your genre) and that points, via icons, to your Social Media pages (i.e. Facebook, Twitter, Instagram, etc.) and to your Publisher (Author’s Portal-Different than your Platform). Your Author’s Portal (in my case Page Publishing) is where your readers can buy your book(s) if they like. Your AP is where your readers can get to know you (your bio. ), read your blog, newsletter, and experience your many FREE resources that are available to your readers just because they are on your AP. It also happens to be where you can “monetize” (via affiliate hot links, banners, etc) so that your AP can generate some income for you (usually don’t make a whole lot of money on books and it’s generally up & down income) as you keep writing your books (first love for most of us:-)) you can make a few dollars via the “monetization” you have done to you AP. TIP: Start your AP as soon as possible! Now is better! It turns out I’m learning that even though I’m going “gang busters” on putting one together, thanks to some new personal/business friends Aaron Freeman and his brother Richard Freeman who are AP experts, I have been told that since it takes years to build a following, I would probably not see the full impact that my AP will have on my eventual readership. Trust takes time to build. However, this AP will be a bonus for my newer books already in the mill. I’m currently working on my edit, I’m about half way through. What a pain this is. It’s almost like writing the book all over again; at least it seems to take almost as much time. But I have to do this in order to fully review what the Page Editors have done and to help the editors make my manuscript book ready (ready for readers). In the meantime Aaron and Richard Freeman are doing a great job putting together my Author’s Platform (awesome web page) and, of course, I’m doing this blog. I start out checking my I-Phone calendar again, then my I-phone weather forecast so I kinda know how to dress for the day. Then I go downstairs and clean up the living room and kitchen areas & get my water. Then my very early morning meditation and prayer (1/2 hour). Then I do my Tai Chi & Prayer & work out on a floor mat (1/2 hour). Then I clean up the kitchen area. Then I fix my mom her breakfast and spread out her pills for the day (moms usually not up yet). I spread out my pills as well (yes I’m getting old as well. Then I feed the four legged children (two greatest rescue puppies in the world-Sammy and Sophie). They actually rescued us. Then I take my pills and eat breakfast while going through my EMail (1/2 hour or more). Finally I open my “SOURCE” meditative saying/prayer for the day and I open my PAGE PUBLISHING edit file. In addition, I open my PAGE PUBLISHING portal as well as my SQUARESPACE Author’s Platform; and I FINALLY GO TO WORK on my book and blog. Usually 7:30-8:00 AM by that time. I occasionally, once or twice a day, take 1/2 hour to practice my guitar, sing and play harmonica. I walk the dogs each day or I put them on their scooter and bike ride them around the nearby lakes. They love looking at all the ducks, birds, other dogs and people. Go to a recovery Alcoholics Anonymous or Celebrate Recovery meeting at least three times a week. Some days, like you all, I can just can get blindsided by something out of the blue, something I didn’t expect (good or bad) and that can through me off for a day or two. NUGGET: There are days when “life” (you know, difficult people on the phone, personal problems, wife and I argue-ing, mom 🙂 that can just stress me out and I either can’t get to my book or I just don’t want to, sorry Page Publishing, and I am so glad I can call a recovery buddy to share a coffee and vent, or I can journal, or I can take a little more time on the bike with the puppies or have more meditation/prayer time. I usually get back on track the next day or so. Sunday is a day of mostly rest, church, catching up with friends (mostly at church & recovery) and relaxing but today, while the ladies are out shopping, me and the four legged kids can blog and work on my editing a little more. Yesterday (Saturday), an old friend of our got married. It was fun wedding at Skyline Church in Rancho Bernardo. We met some other old friends there as well and got re-connected. I’m only half way through on the edit and it seems like it’s taking forever but I keep trudging along day after day, one day at a time, just like my sobriety. It just occurred to me why it is so tiring to go through this edit process with the Page editors. NUGGET: I remembered my pastoral/counseling training. Part of it was to make sure not to go over 50 minutes when counseling. The reason is that we are not just listening, we are doing “focused listening”. In other-words we are listening with the intent to paraphrase (give feedback, & dialogue). This kind of “focused listening” take a lot more energy and “brain strength” than casual listening, just to have casual conversation. TIP; Like a counselor, I’ve learned to take much needed breaks. Even, during my break, if I do something related but different, like this BLOG, it is such a mental relief. I walk the puppies, prepare a meal for mom, play a computer game or whatever, and then I get back to work. So the old saying applies here: “By the inch, it’s a cinch; By the yard it’s hard”. I’m learning to take small steps, one step at a time, inch by inch. That’s what’s working for me. I wish I could just focus on what I have to do or maybe I should say, what I would love to just do. But life just doesn’t seem to flow that way does it. Working on our Kohler Rialto toilet from hell. Not only is the flush valve configured oddly and, by the way, very difficult to install, but it cannot be purchased from a local store. So we have to order online and wait for the stupid part to be shipped. Drat! We are without one of our toilets AND I LIVE WITH TWO WOMEN! Drat. The other stressor this last couple of weeks has been trying to work with my local Guitar Center store (La Mesa, CA.) and Customer Service (ha, ha) at Guitar Center’s Gear Card-Credit Card Department. Not only did Guitar Center mess my Father’s Day, in June, order up (mostly Audio-Technica’s (AT) fault.) but the “Gear Card-Credit Card Department” made it next to impossible to get their help to straighten out the mistaken charges! Drat! Sometimes I just call my recovery buddies (CR or AA) and have a coffee and share but this time I went to, what us recovery folks call, a “meeting”; this particular meeting was an AA meeting. This is where I needed to be so I don’t turn to booze or drugs to try and ease my stress and my pain. It was at this meeting that I realized, when I heard someone else share, that my problems and stress were nothing compared to someone else’s. I got things back into perspective. I also heard things, from other people sharing, that only God knew I needed to hear. Break is over, I’m back on track now … See you soon…. This is what I’ve recently learned about my AP, my MEDIA Exposure, SEO’s and ENDORSEMENTS! I’m going to need a lot of pages, 50-100 pages, to start, on my Author’s Platform web page. Most of the pages will be “value added information-Rich stuff” for my readers and, even though it will eventually take up a lot of pages as it grows, this will help me build a “strong community of returning readers” who value my Web page and trust my information. I will need a FAQ’s page where I can answer questions and so my readers can also answer and correspond to each other re: the questions. Advertise other relevant products for my readers. Using relevant Banner Ads and Affiliate Marketing links. I should even have Multi-Media pages (i.e. You-tube stuff focused on my readership needs) as well. The more free information I have for my readers, the more they will come back to my pages and the more they come back and I eventually build a confidence in me and my material, the more they will trust me and consider purchasing my books. Readers love access to others who have information they are looking for regarding my particular genre (google products, other similar authors, AWAI, etc.). I will eventually need someone to help me do SEO (Search Engine Optimization) to make sure my web site always ends up on top of the popular search engines so people are more likely to visit my page.With a “Reader Sensitive” platform like this you will build “credibility” and the “trust” of readers, over time. It will take time. After you have written several chapters, send out letters of request for endorsements. Twenty weeks before your publication date is not too soon! Here are a few tips used to get celebrity and high profile endorsements for books. Start at the top! Use “Star” power! Cast your net beyond people you personally know. Go for the BIGGIES! Any way that you can attach a brand name or celebrity to a book project, do it. Make a list of high profile people that “fit” in your area of expertise. They are the ones most likely to respond. High profile people know the value of having their name on something good.Good candidate might include: congresspersons, heads of associations, celebrities, company presidents, prominent people and other authors you know.Don’t overlook celebrity tie-ins and corporate sponsors. Perhaps a celebrity might like have their own cookbook or a health food chain might like to have a book about health.Sometimes the most credible proof of your books benefits are from third party endorsements from three diverse readers who have little else in common other than their adoration of your book. Demonstrate that they’re “real people” by including their name, organization and additional credibility-building phrases. Display these “reinforcers” in your promotional materials.Look for prominent online figures in your own niche to review your book. Try editors of high-profile eZINES or Websites.It’s better to assume that someone will give you an endorsement rather that assume than they won’t and never know for sure. Avoid those people whose names you find on every book you pick up. Spend some time finding their addresses and send them a letter. Requests sent to publishers rarely get forwarded to the author. If the book is not yet published, send enough content for them to get the “feel” of the book. Usually the table of contents and 2 or 3 chapters will do. If the book cover (front and back) is already designed, send that too. Be ready to send the complete manuscript upon request.Make sure what you send is not riddled with errors. Remember, the other person’s credibility is on the line endorsing you. You want to be sure they are not distracted by typos. In your letter of request, acknowledge that you know they are busy and you are an admirer of their work. Most high profile people are very busy. Make giving an endorsement easy for them.Write 2 or 3 endorsements for them (who better can do this than you) and ask them either edit, rewrite or write one of their own. Make it grrreat!! Writing a good endorsement is a creative act; it takes time and careful thought. Editing a pre-written endorsement is easiser and faster. You will get a higher and much quicker response. Tell them your deadline date (45 days or more works well for most – some may take longer) and let them know that if they are unable to meet the deadline, to please send an endorsement for use in your promotional material or for the second printing of the book.Be sure to follow up if you don’t hear anything. People who are asked for endorsements are not always quick to respond, however, some will move you to the top of their pile of endorsement requests when you follow up. When you get these endorsements, make sure you post them prominently on your Website and in all promotional materials. Devote a special page in the front of your book for endorsements you cannot use on the cover. I can assure you that your credibility and sales will increase because of them. Requesting that someone write the foreword for your book can be approached in a similar manner as endoresment, however be sure to allow a longer deadline. PERSONAL NOTE: I’ve been in kind of a writer’s funk for the last couple of days. When my wife and I argue it always slows me down. I don’t sleep well, my brain gets a little confused and I get lazy and unproductive. I know I’m a sick puppy, still a little self destructive, but I think I’m getting better. It helps me to journal, play guitar and go to meetings (some of my recovery tools). Things are starting to improve again. Looking forward to a weekend. Sat. 7/18/15; I’M BACK :-)! I know I’m going to loose some of my lady followers for a while but, the girls (wife and mom) are going to be gone all day (Women’s Business Conference, Trip to the mountains, & Play time) and I am so relieved! Yeah! I’m at home with just the puppies and I love it! I can get some work done! Can’t make quick progresss because the typing has dramatically slowed down again. I want to add a sentence or two to the prologue and I’ve wasted too much time trying to figure it out… and I’m still not able. I’ve had to call on an IT expert to help. Yeah Aaron Freeman! It would be nice if there was a “save” button at the end of this BLOG page so I don’t have to go all the way to the top to save my changes. Couple of days ago, my newest friend Aaron, called me and helped me figure out the SQUARESPACE stuff that had stumped me. I got back on track with my Blog. I don’t know why, but I have been moving very slow on the editing I’m supposed to be doing. Today I’m going to try and speed it up. I’m on a “self-imposed” schedule that I’m falling behind on. Onward! To infinity and beyond! (settle down now-steady boy) :-). Life itself can sure get in the way when your trying to focus on something and it seems like the more important it is, the more of “life” gets in the way. This week it’s been the KOHLER toilet from hell breaking down again and my 90 year old mom catching another UTI infection. This is the forth time for her. My entire day, maybe longer, will be spent at KAISER emergency waiting for KAISER to get mom back in shape again. The only fun part is getting to buy the nursing staff donuts and watching their faces light up when I hand the bag of donuts to them. I’m thankful that the nurses and doctors are there for my mom and I like to show my gratitude. My reward is watching their eyes and faces light up. I’ve managed to get a little work done on the editing portion of my manuscript this week, between “life” events, and will try and do some work while at KAISER. Not easy, KAISER is not Wi-Fi friendly. Sometimes I wish I could just hide in a cave with a barrel full of STARBUCKS so I could get some serious work done on my book (memories of my college days), but you know, I would probably, eventually, just get lonely for “Life’s events”. Isn’t that pathetic? NUGGET: The following is my own endorsement package I put together and I got my first ENDORSEMENT! Yeah God! Please see attached 1. BACK OF BOOK SUMMARY- 2 Pages. Please see attached 2. BOOK INTRODUCTION, SPIRIT PROMPTED, PROLOGUE and BOOK DISCLAIMER- 3 Pages. Please see attached 3. BEGINNING, BRIDGE BOOK, …HISTORY- 4 Pages. Please see attached 4. TABLE OF CONTENTS w/SUMMARIES- 8 Pages. Please see attached 5. Sample Endorsement- 1 Page. NUGGET: The SQUARESPACE site is being very slow in this edit process so I’m going to break and come back later to elaborate on the aforementioned. OK, let’s try this again today. Today let me try again to elaborate each aforementioned attachments. Attacment 1. BACK OF BOOK SUMMARY- 2 Pages. oops. The SQUARESPACE site is being very slow in this edit process so I’m going to break and come back later to elaborate on the aforementioned NUGGET. See ya soon again ….! I’ll be taking a blog break for a bit (next 3 days). I am going to help out at a leadership conference at our church. I’ll be back blogging soon. OK; I know its been a long time but I’m back! I am without a “good” excuse, except to say that, like all of you, sometimes life gets exceptionally hard. I began to have some serious problems with SQUARESPACE (Web site builder and “so called” customer service). I would not recommend SQUARESPACE as a Web Site for ANY of your needs, unless you are a computer tech. and/or a Web Master Site manager, because: 1. If you have a technical question, it can only be answered by e-Mail and, of course, usually we need the question answered ASAP because we are working on something. SQUARESPACE says, “2-3 days” but it usually take longer. 2. Even if SQUARESPACE responds, the e-mail says, “how can I help” when you have already told them how you need help in the e-Mail you sent them a few days ago. 3. What makes things worse is that the SQUARESPACE e-mail you get back, usually, has no direct reference (trail w/your e-mail) so you have to try and remember why you even e-Mailed them in the first place. 4. To make things worse, even when you begin to e-mail correspond to them, SQUARESPACE usually responds with “boilerplate” canned text that usually has little or nothing to do with your problem. On a good note: SQUARESPACE had some good software and a unique way to interact with your own blog; However, SQARESPACE, is NOT worth the frustration and “TIME CONSUMING” trouble you have to go through just to get a simple technical question answered. I VOTE “NO” “STAY AWAY” From SQUARESPACE. My wife and I bought a new home that came with it’s own unique set of problems we did not anticipate or financially plan for. In addition, shortly after we (wife, my 92 yr. old mother that we care for, 2 puppies and myself) moved into the new home, my beloved mother passed away. I am so grateful that my mother knows the Lord (she is saved) but I still miss her. My father passed about 15 years ago and I was very close to Dad. Moms passing was emotionally tough for me to go through even though mom and I were never that close. However, I became very close to mom in her last 5 years as she live with my wife and I as we also volunteered to be her full time “care givers”; that was also very tough but I’m glad we did it. We have finished mom’s memorial service, cremation and disbursement of mom’s ashes in our Pacific Ocean. We just found out mom’s house has thousands of dollars in taxes owed and are now due and, because our financial manager forgot to update mom’s trust, mom’s house may end up in Probate (God forbid) because Mom’s house was not in the most recent Amendment to Mom’s Trust! We are currently trying to fix that “life problem” by petitioning the courts with a HEGSTADD petition, this alone is costly and time consuming. Pray for us, PLEASE. We don’t want to loose Mom’s house. We now live in it. So, not that “life’s problems” will ever stop, but I’ve finally reached an “edie” (a resting area) in the water rapids of life and so I can begin to get back to my blog. I am so, so, excited that Page Publishing has Finally launched my new book: “Journey to the Center of the Soul” (JCS), yeah God! You can also find it on AMAZON, BARNES & NOBLE, I-TUNES, GOOGLE-PLAY, and KOBO!, In addition to this, my web page, from any of the “hot links“. Yeah God! This book was written primarily for Church and Other Small Groups as well as Seminary’s and leaders of all kinds. So… Now the blog continues with my main blog focus “Paying it Forward” trying to encourage and help other potential authors become published. ” I am inspired to write this Blog, not by my own works but by watching the movie called “Julie & Julia” with two of my favorite actors, Meryl Streep and Amy Adams. This was a great movie about a young lady who began to blog her way through a cook book by Juliet Childs. In the process she learned the Art of French cooking. So… Now that my book is available for Sale, I have run into a whole new set of new author opportunities (some call hurdles). I have recently discovered, from my Publisher, that most of their books don’t do very well without a Social Media Marketing campaign. I wished they had told be this earlier but, oh well. So, even more recently, I found out that most Social Media Marketing campaigners are beyond my financial capacity to afford (thousands of dollars). So I was forced to pray. I love it when I’m forced to pray because that what I’m supposed to be doing IN THE FIRST PLACE :-). I thought God had answered my prayer with an agency that claimed they were reasonable, only to find out that their definition of “reasonable” and my definition were not the same ;0). Then I thought God send me someone who’s price was very reasonable and acted like he knew something about Social Media Marketing, but he did not. Now, as of a few weeks ago, we think that God finally answered our prayers in sending us Rachel, and maybe we are not “jumping the gun” this time ;-). Rachel really knows her stuff and is already plugged into a lot of our own church people and organizations with-in the church that may be able to help out the marketing of the JCS book. STUMBLING BLOCK: Rachel is just noticing that some people, within our own church, are resistant to helping her market my JCS book. Rachel was a little discouraged. We told her not to worry about it, we told her how much we appreciated her (and we really do) and reminded her of our monthly dinner/business appointment we have with her soon in our home. Rachel found it very odd until we shared with her, over dinner, that we have experienced the same thing. I believe she was encouraged when she realized it wasn’t her or the JCS book, but that it’s just the reality of things, even in the Christian world. We reviewed the Scripture about Jesus saying, “a man in his own home town (home church) is not a prophet”. If they could not recognize or corporate with Jesus, then certainly we can expect the same, even in our own home church. NUGGET: I also think I found a very good (don’t really know for sure yet) way to inexpensively market my JCS book through FACEBOOK.com It looks like I can even select a “target audience” and the amount of money I can spend (as little as $20) and they do the rest! The only hurdle I’m currently working on is that, of all the “target audience” selections, none of them are my two targets (i.e. church small groups, seminaries, other small groups). I’ll let you know how I’m doing with this, as I proceed, or if I found another way to market my book. BY THE WAY: I’m experiencing of a surprise. I don’t know why this is surprising me, because it’s logical, but its surprising to me none-the-less :-). Here it is; In all the social groups I’m in, people in those groups, who knew I was a writer, are, right after I finally made a presence in AMAZON and BARNES & NOBLE, etc., all of a sudden are letting me they are writers too. I’m wondering why they didn’t let me know before? Sometimes people really astonish me. So, all of a sudden, they are talking to me about writing. It’s astounding, mysterious and a little funny (cute). I’m referring them to my personal web page: www.gregaldana.com and my BLOG to answer a lot of the questions they might have. Testimony (Poem) by David M.
“This is a testimony, in poem fashion, reflecting feelings and thoughts of my personal life, while giving honor to God. God has changed my life, rescued me from my addictions, and gave me new life in the process. I wrote this poem, in two parts; once when I was a young man and then, some thirty years later, I wrote the second half. As a young man, I was immersed in my drug and alcohol addiction. I was a lost soul going nowhere and I didn’t care! I believed in God, although I didn’t think He cared for me at all. My conscience made me wonder in. And swallowed up the last of light. I swallowed hard, with pounding hart. Each breath he took upon my neck. Beneath his roar I cried, Dear God. God above has judged your fate! Why have you forsaken me, I said. Does this mean I deserve the devil’s den? He conquered death, the battles won! He bore my sins and set me free! Well, that’s all I got today. From her on out I think I can make this once a week blog commitment. So my future schedule for updating my blog is going to be every Tuesday! I will also make Special Updates to my BLOG if something urgent comes up and I absolutely have to write about it :-)! Look for my updates! That’s all I got today. To my readers… Hello Again! This is Tues, Blog day this week. I’m not having such a good day. I have to paint the interior of 3 or 4 of our rental homes (the only thing that helps us live now that we are retired and living on social security) because we ran out of money; we had pay an unexpected amount of taxes as a result of my mother passing away. I not so upset that I have to paint and do light maintenance on the rental homes as much as that I have pain in my right new (post Meniscus surgery) and arthritis from Old Age:-). Nevertheless, Carol and I will get through this, with God’s help. Yeah God! I have to also admit I’m a little upset that I can’t be doing other things I like (i.e. writing books, playing guitar & singing, reading, playing with our puppies and seeing a good movie, etc.). But this work is only temporary and I’m sure, by the grace of God, I’ll live through it. AWESOME ANNOUNCEMENT: ALDANA LLC, COMMING ATTRACTIONS (BOOKS). We have one more “Self Help” book, one Spiritual Sci-Fi book, and a set of Awesome Murder Mystery books that my wife and I are co-writing together, FUN! ALDANA, LLC is looking to New York again, for a Literary Agent to help/guide us on our next selection of a Publisher and Marketing Company. If you know of one, Please Let us Know. NUGGET: “The Publication Coordinator”, for any Publication Company, whoever you choose, is very, very important to the “ease”, and the cost, of your book as it goes through the Publication Process. Screen the Publication Coordinators as best you can and pay attention to your “gut feel” before you settle for one. Good Luck. See you again Tues of next week! OK, OK… it’s earlier than next week but I had a few minutes this morning before I had to go finish taping up one of our rental units and begin to paint. I can’t wait to use my new sprayer. I don’t know what I’m doing, I’m not really a “painter” but I still can’t wait to learn something new. Last week I learned that I was using the roll and tape hand machine all wrong. I watched a professional use one, the person from California Bath that makes bath tubes and shower stalls look new again, and he helped me understand the simple tricks that helped me tape and roll a whole lot better and faster! I can’t wait until I can get back to writing my next book. I have two more units to go and then we will be OK for a while. Help me Lord, I’m old, lame in one leg, and fat. Help me get through this Lord, please, so I can get back to writing and my music. UNTIL WE MEET AGAIN! TUES. OR SOONER. Ooops! I missed my own BLOG day on Tuesday 5/9/17 and I had it as a Reminder on my I-Phone, I just forgot. I don’t believe in making excuses for myself, especially when I made a commitment to my BLOG readers to stay in touch, at least every Tuesday. So, I wont give excuses, suffice it to say this last week and the next few weeks is going to be crazy with Rental Turnovers. We have never had so many Turnovers (people moving out/in) happen at the same time along with a forced eviction for lack of rent payment; I think they just decided to become “settlers” and settle in, without payment, until they were asked to leave. God bless their little hearts. They were the hardest for me to pray for the last couple of months but I did; I prayed for them and gave it all to God. I even asked got to help them (that was really hard to do). This week we are meeting old friends from 30+ years ago, we are “turning over” rentals, rehabilitating an injured knee, meeting with our Bible Study group to study and to fill our South American Missionary’s Care Box so we can ship it out, and meeting with our Social Media Marketing Agent to promote my first published book (JCS). In the midst of all the aforementioned, I will be doing as much work as I can on my next book that my publisher already wants to see, and I’ll also be working on the Murder Mystery Book series that my wife and I are doing together. By the way, did I tell you I had to Hauk our Mustang? The interest rate was incredibly high for this, what we hope to be, a short term loan. We needed the money to pay taxes and make house payments we were not getting rent on. Oh Well, “say la vi”. Hauking the Mustang really hurt, I don’t know why but the minute I gave it all to God, I felt better. On another note, since you all already know I’m in recovery, I took on another “sponsee” yesterday. A sponsee is someone who is looking for a guide to help them take this journey of recovery. In the book JCS, I refer to the sponsees as “Journeyers”. I’m always amazed at how God (as I know Him) seems to send me someone who not only needs my service but who I’m in need of as well. My experience tells me my new Sponsee is going to help me as I’m helping them on this part of his Journey. I’m going to carve out some time to do some writing this week. I’m thirsty for writing again…. Hello fellow writers! Well today is Tuesday and, as promised, I am making good my word to BLOG at least once a week. I am blessed to be getting a flurry of interested users who are interested in my BLOG and, maybe, my book; I can’t tell yet. It’s been a few weeks since I found out my book was published on AMAZON and several other distributors. It’s amazing how Page Publishing (PP) can automatically take care of that for me. I haven’t heard from Page Publishing (PP) since. I’m supposed to receive, as per our contract, some kind of marketing help via a TV (I think it’s YouTube) interview from Page Publishing (PP) and/or some radio time. That may be the extent of Page’s marketing help because they often mentioned to me that I should be, as other author’s do, relying heavily on Social Media Marketing. I have a Literary Agent Company now, ALDANA BOOKS, LLC (ABC) and two volunteer employees working on representing me to Page Publishing (PP) and charged with my Social Media Marketing campaign; this campaign is limited because funding is scarce right now. ABC, tells me not to worry about PP because PP has been hit by some massive storms in the last 2 weeks and they are trying to recover. I’m so glad I don’t have to worry about that stuff. My only concern right now is to “make ready” three more rental units and finishing my next book regarding our “Belief System”, how it works, what inspires it and the results. ABC tells me PP is still interested in my next book and is especially interested in my series of Murder Mysteries! Yeah God! Well, I have to get my paint clothes back on and get back to work. We finally finished one of the rental units today, Yeah God! Nevertheless, boy was that a lot of hard work that my body is just not used to any more. Pushing 70 severely hampers my strength and stamina. I only had time to finish one more paragraph of my book. As most of you writers know, it takes almost an hour just to catch up with our “writing thread” to try and get a “just” of where I was going with something and it intertwines with the pages before, let alone making more progress. NUGGET: What I’ve learned comes from the old tortoise and hare story. It’s the slow, step by step, but steady methodical pace that eventually wins the race. I may not be fast but I’m consistent, steady and tenacious (I don’t give up) once I get started and my mission is clear. I could have made a great marine! Bye for now, see you next week if no sooner. Hey, I just realized that I could have a WORDPRESS icon on my desktop that makes Posting to my BLOG Continued… soooo much easier. Duh….. Ok I know I’m a little slow but I get there eventually. Think of me as the wise Tortise. Step by step, inch my inch- its a cinch. I’m slow but I’m Tenacious and Persistent and because I’m detirmined and you can count on me, I will finish the race (my next and all other books forthcomming). Yeah God! Today is a very difficult day. Our loan applications have been turned down over and over again for small loans, so we could, at least “tread water” again and it’s all because of some stupid mistakes and a death in our family (mostly) that we are begging to drown. It looks like we are going to loose our favorite play car, our convetible 2006 MUSTANG, and possilbly our new home, for lack of 6,000 to 20,000 dollars we desperately need right now. We could pay in all back in 6 months or less but we can’t seem to “catch a break” right now. Now, all we can do is pray and hope. In the meantime, I can still write (BLOG & next book) and go to me recovery meetings and continue to “work my program of recovery”; at least I still have those things. Love you all and I’m so thankful I have all you faithful and new BLOG readers. Just knowing that, brings comfort to me. THANKS. 🙂 Dr. G. Happy trails to you, until we meet again! Good morning you all. It’s Sunday. I”m not going to church today. Sometimes I just get filled up, or maybe fed up, with church as usual and I need a rest. If I want to do church at home, after my usual 20 min. prayer & meditation time, I just read some scripture and a personal bible story from my NIV Celebrate Recovery Bible (best bible I’ve ever owned). If I need a little more church I can Live Video Stream the usual church service I attend. Today, I’m going to focus on my newest book regarding the power of our thoughts, and work on “turning over” (means clean, paint, fix, etc) one of our vacant rentals. Don’t forget, I Love you all and I’m so thankful I have all you faithful, and new BLOG readers. Just knowing that, brings comfort to me. THANKS. 🙂 Dr. G.
I have to wait for my wife to finish her breakfast before we leave again so I thought I would “check in” with everyone. By the way, I recently purchased this new device called a TickBox. I do not recommnend it. Customer Service is very poor. The “jury is out” on wether or not I get my money refunded. I didn’t find out, until after I made the purchase, that I could have recieved the same or better quality video steaming and much better customer service from an AMZON FIRE STICK. Just trying to save money and I don’t like the monthly fees just to watch TV and a few videos. So we are going to see about purchasing a firestick soon. Now I’ve got to finish “turning” another rental unit and tonight, I get to work on my book! Yeah! Don’t have much to say this morning. We are at the “home stretch” in getting our rental unit ready to rent again, thank you Jesus. My wife and I are both whiped out physically (we are in our 70’s) and are financially on a “tip rope” right now; no doubt this is affecting our marriage (yes we are a normal couple). Nevertheless, I wanted to, at least, blog a little. I think this if for my own thereaputic good, maybe it can benifit my BLOG readers as well. Only God and tell, unless you want to write me a note. By the way, I trying to work out a cupon code for my “Registered Bloggers Only ” to be able to get a “special % discount” on any JCS books you might be interested in! We are in negotions and trying to work the technical hurdles now (Carol-wife- is). Our goal is to not only “Give it Away” though the BLOG (info; Nuggets, etc) but too also make our Registered Bloggers feel special by offering them discounts. You guys/gals are great and, you already know, I’m nothing without you! Not much to say today, however, I wanted to write something since I missed my schedueled Tuesday posting so….. here goes…. All is well. Most of the pressure is over for at least half of the work that needed to be done. In other words, we had four condos to “make ready” and tow of them are done, YEAH GOD! Now we just have to make sure that we get good renters in them and Carol (wife) is working on that. She may have one rented already. I will be writing again tonight and tomorrow morning after work out. Things will get a little bit back to nomal for a week and then it starts again for another 2 weeks, getting another two condos ready. In any case, the book is back on track and I’m making headway again, YEAH! Carol and her assistant will be working on the marketing of JOURNEY to the Center of the Soul. Just Click on the “Play” button. ENJOY! Working, full time, plus some music of course, on the Next Book today. Page Publishing has already shown an interest in it, as well as our new Murder Mystery Books. Yeah God! BLOG KUDO ANNOUNCEMENT: All you Blog readers will be the first to know the New Title of my next book as well as some of the highlights and direction of the book as I move along the publishing path again. I will be asking for BLOG READER INPUT and reviews “on the way” so Blog readers can “have a hand” in the publication of the new book. We are thinking of doing the same thing with the Murder Mystery Series of books with our Blog readers as well. If you are interested in being a part of the writing of our next books, please let us know. If we use your input, you will be given literary credit and your name will be mentioned in our next book(s) as well. 2ND BLOG KUDO ANNOUNCEMENT: ALDANA BOOKS, LLC, Carol Aldana, Editor in Chief, and her assistant Rachel, have arranged to have FREE CUSTOMIZED SPECAIL “JCS” BOOK MARKERS to our Blog raders and others, when they purchase the BOOK- Journey to the Center of the Soul. OK, OK, I’m beginning to really get “in the rythm” with this blogging stuff. It helps to be at my local STARBUCKS in Rancho San Diego; It’s here that I can get a taste of my favorite Americano (old facorite) or I can get a little frisky with a Latte. In any case, it’s great to hear some great jazz and rythm & blues while I’m drinking my coffee and working on my two books again. Frankly it’s fund to work in two different genres at the same time. I’ve been doing this for a couple of weeks now and I’m starting to like “taking a break” from one genre and moving to another. I think I’m using two different parts of my mind as I move from non fiction to fictisous murder mysteries. Ok fellow BLOG Readers, I’m going to start writing again. I have about 3 hours before I have to go to an office meeting at home. I don’t want to go home. Home is not a happy place right now. I have a resentment against my wife and I’m not to happy with her right now. I love the hell out of her, committed to her for life (married 31 years) but sometimes I just dont like some of her decisions. I’m sure she feels the same about me sometimes. Another by the way, I’ve only heard back from a couple of my BLOG readers about contributing to eiether of my two new books. I know this was just annouced on 6/3/17 (2 days ago) so if you are interested, SEND ME AN EMAIL so I can put on a PRIVATE LIST of my NEW BOOK Contributers. Well, here I am again at my local STARBUCKS in Rancho San diego banging away at my book again. Yesterday I tried to work on two books at the same time but I spent an inordinant amount or time making a drawing on Power Point for my next book that I had very little time for writing and no time at all for woking on the second book. Nevertheless…. The drawing is rough but it looks great. Today I’m going to try a little writing on both books again and I’m even going to try and play my guitar and sing some of my favorite songs while at outside talble and chair in front of STARBUCKS. We may have rented out second condo, this latest one is a Large Townhome that we’ve decided to rent to a VETERAN who is down on his luck, credit score is very low, and he is living with his wife and 3 little daughters in a Motel 6. Even though he is, techically, a very high risk, we think the Lord wants us to do this…. so we are. Help us Lord, we took a very big hit (4 months unpaid rent) and stll had to make house payments. This was a military couple who did not want to leave or pay rent + they trashed the Townhome before they left. Help us Lord. We both have big hearts and sometimes people take advantage of us, so Help us Lord. Good morning fellow blog readers! Yesterday I was able to work on both of my books AND practice my singing and guitar! Yeah.! Today I woke up at 2 AM and I haven’t been able to go back to sleep. I don’ t know what thats about yet but it’s usually about me being co-erced by God to pray or I’m worrying about something. So … there are a few things I could be worring about but I’m choosing not to worry and instead pray. The other thing Im doing, obviosly, is Blogging; YEAH again! By the way, I also chose to continue reading a great book (I recommend). It’s called “THE BAIT OF SATAN” by John Bevere, Charisma Media/Charisma House Book Group. Check it out, it’s AWESOME. I probably won’t get much done on my books today or singing & playing; Carol and I have to finish preping another home today. Another By the Way; I think I just got appointed as a Representative of the United Nations AIDS relief program, it’s called UNAIDS. They sent me an E-Mail letter of appointment and will be giving me my first assignment and pay check soon. I could sure use the money for an upcoming out-patient surgical procedure that is not covered by my HMO. I believe this was “God sent”. Yeah God! I’m off to a Writers Guild with AA (Alcoholics Ananymous) Grapevine Newsletter Workshop. It’s over an hour drive up north but my AA battle buddies told me I should go and see how I might contribute (be of service); which is a key word for me, “service”, because “service” is essential for my ongoing recovery. So I see “service” as an opportunity for more recovery. Bye the way, I just got offered a part time job as a United Nations abassador to raise money for Aids research & relief! This may be a prayer answered for the cost of my upcomming surgery. I’m going to make time to do, at least a little writing today. Hi gang, long time no write:-) Just 5 days I guess but it seems like weeks; I think it’s just because I miss you guys. Well, we just finished preparing another condo and in a few days we are going to have one more. It’s supposed to be the last one for a while, I hope, I hope. Carol (wife) has found some real good renters so we will see how it goes this time. The real good news is that I can start writing again, in both my books tomorrow! Yeah God! So… I’ll be in touch and let you know how I’m comming along. I just finished an important drawing for the beggining of my next self help book on Belief/Faith (no title yet). The drawing picutures out the main topics I’m going to be writing about in this next book. As far as the new Murder Mystery series, we now have names for our two protaginists, their soon to attain puppies and their Gaurdian Angeles. Their Moriarity character has not been named yet but we have some doozies! OPPORTUNITY (OP): If you would like to get in on the nameing of the new Moriarity Character Name that we are going to use, and introduce in our first or second book in the series; JUST SHOOT US AN EMAIL. If we use it we will give you credit in the book! NOTE: If you want to explain why you choose the name and why it would be segnificant to you, JUST LET US KNOW IN YOUR EMAIL. Right now we are doing the adolecent backdrop and how the protaganists finally meet in college as well as their unusual circumstantances. The games a foot! Sorry Gang, for not writing on my scheduled Tues. (yesterday). It was the last day of several weeks of very painful and very hard physical work to get some of our rentals ready for rent. Two of them were terribly trashed and had major damage to most of the appliances and flooring. It had been very difficult, very costly and very hard on both my wife (Carol) and I. I have a torn meniscus post operated right knee, KAISER operated on 9 months ago, and I am still in pain and there is still clicking in the right knee. Besides my usual body (hands and back) arthritis, and that I’m a 70 year old man, I did not do well through this whole process, BUT IT’S FINALLY DONE! YEAH! My wife (Carol) has held up better than me, she suffers with arthritis as well. I’ve always thought she was stronger than me anyway :-). Anyway, late Monday and Tuesday, Carol and I collapsed, all day, just trying to recover but now we are back and starting to write again! Yeah. So… I’ll start keeping you posted again on the writing process. I had a “meeting” (AA) this morning, I’m the secretary every Wednesday, and now I’ve got a doctors appointment with my original surgeon today (trying to get a referral for stem cell injection), pray for me please! The comes the fun part today….. I will start writing again…. Yeah! Thank God for the long 4th of July weekend. Carol and I needed the breather and lots of rest. Friday 6/30/17 started off with fairly good news from Dr. Peter Hanson, a man I consider to be a “real doctor”; someone who really tries to find medical solutions for patients. Most doctors, however, are usually just maintenance men, especially those who work for HMO(s) and have relagated themseles to being just “employees” instead of “real doctors”. I’ve been Ok’d for Stem Cell injections but I’m going to try a couple of less intensive procedures first; those procedures are free (yeah) and will take up to 6 months to a year focusing on just the pain. By that time I may be able to find the $3000 to pay for my stem cell injections. PLEASE LORD. In any case, thanks to Dr. Peter B. Hanson (Sharp Hospital) I now have hope again. On another note, we almost had all of our rentals rented but the last one was problematic. The person who we felt sorry for, because she and her kids had no other place to live, and moved her whole family in without a contract turned out to be a felon and her Section 8 file was pulled as she was disqualified from the program. She was supposed to get qualified, and the home inspected, the next day, but that never happened because of her disqualification. It’s a good thing we never gave her the door keys or the pool key or we would have been in real trouble and may never have been able to evict her quickly. In any case, her and her family are out and we lost several weeks worth or rent, not including what we are still loosing in rent, as we now have to put our rental condominium back on the market, wait for a qualified renter, and try this again, it always takes a long time with Section 8 renters but in most cases it’s worth it in the long run. I just thought I would mention these life challenges so that you know I’m know different than the rest of you writers. Just like you I have “life” hurdles that I have to overtake and I have to, nevertheless, not let them interfere with the discipline I’ve set for myself to write Every Day, even if its just a sentence or two. I keep remembering it’s the small steps, the slow and steady (like the turtle and the hair story) that always wins the race for me and helps accomplish my goals. You see I’m not a “real star” or a “great writer” but I have a few things going for me, and help me live my life, that my father taught me, as a child, while swimming the rapids one day at Gold Beach outside of Sacramento, Ca. 1. If you fight the rapids, they will beat you up every time. So you have to learn to “go with the flow” until you find an “eddy” (a pool) where you can rest before you continue your journey. Life has it’s “eddys”, you just have to look and wait for them. 3. Never give up. If you give up, you drown and die in your pool of failures. So I’m writing today, in my book, another self help genre, that’s temporarily called BELIEVE and I’m plugging away, regardless of life’s hurdles, writing as many sentences as I can today, like I will tomorrow and the next day until it is done… and then, I’m on to my next book; It a Sci-Fi or SyFy as it’s now determined, on one of the Old Testament Books. Total fantasy but lots of fun. Carol and I are still working on the Christian Murder Mystery series of books. You’ll love the title. Happy trails to you, until we meet again! … and Happy coming Fourth of July! P.S. NUGGET: I’ve decided to start sharing some of the NUGGETs from my AA meetings, I keep a daily diary. I won’t be able to let you know who spoke them, Anonimity you know, but I can give you some of those “Powerful Sayings” sometimes “Life Changing” words that are sometimes shared in our AA group meetings. NUGGET: “If you want to make God laugh, Just tell Him your plans” by Dave. WORD OF THE DAY: “ZUGZWANG”, Noun; 1. Chess, a situation in which a player is limited to moves that cost pieces or have a damaging positioning effect. THOUGHT: My past is colored with past Zugwangs 🙂 I can remember, as I worked out my alcohol brain soaked plans, probably making God both laugh and cry, I made moves that cost me dearly and had damaging effects on people I loved and that loved me. p.s. Next book(s) are progressing, in spite of lifes challenges! Hey Gang! Missed you all. It’s nice to get back to writing again. Books are coming along fine. I’m currently looking for a Literary Agent to help me do a few of things: 1. To help me market my current book, JCS and 2. To help us find another Publisher for my second book on Belief and 3. To help us Publish and especially market our new series of Murder Mystery Books that we think are going to be a big hit; they may even turn into a TV series! If any one has experience with Mark Malatesa, Literary Agent or if anyone can suggest a good Literary Agent, please let me know. Also please keep us in your prayers over finding the right Literary Agent. We have a grandson, and his girl friend, that are going to come to live with us next month. They are trying to re-locate to San Diego to live and we are giving them a “home base” to work from until they get on the their own feet. We have given up our Craft Room for them. Everyone one is warning us that sometimes family comes to visit/re-locate and they never leave! We hope they never leave San Diego and we looking forward to having family here with us in San Diego, close to us. We are willing to risk that they may end up staying longer than is comfortable for all of us but we will pray though it, talk through it “family time” and try to make the best of it. NUGGET: “A person looking for God, is like a fish looking for water”. By Kelly. WORD OF THE DAY: PURLOIN, Verb; 1. To take dishonestly, steal, filch, pilfer. 2. To commit theft. THOUGHT: In the 12 & 12 (12 Steps/12 Traditions) we centered on the word “Will” or “Willfulness”. The group thought was that the times we all got in the most trouble in our lives was when we were the most “Willful” and self centered, chief of self center-ness was our choice to feed our disease of Alcoholism. I shared that I finally realized I’m at my best when I make myself subject to the Will of God, my Spouse and my Sponsor. I’m reminded of the old AA bumper sticker I used to see on cars as a youngster, “Let go and Let God”. I had no idea, at the time, that it was an AA bumper sticker or that I was an alcoholic, even as a youngster. p.s. Book(s) are still progressing, in spite of lifes challenges! Hello again! Sorry I took so long to write again but I think I will be up to speed from now on. The house is ready for my grandson to move in, with his girl friend; The rentals are filled with only minor follow-up that is needed; the Kiosks (from wife’s old business) are all donated, with videos, to Disabled American Veterans and even the back yard is almost back in order. We just have to make sure that our downstairs tenant removes the trampoline he installed in our back yard, without permission. It was his surprise to us when we awoke one morning and there it was, large, obvious and crowding out our fruit trees. Oh well. He’s ordinarily a good tenant and we love him and his family anyway. They have agreed to remove it this week. Re: my current book “Journey to the Center of the Soul”, I have some current needs for this and other books. NEED 1. I need a marketing person to get me on a speaking tour to talk about my current published book, “Journey to the Center of the Soul”. My immediate target tour venues will be Churches, AA (Alcoholics Anonymous) recovery events, Celebrate Recovery events, Radio and Television. NEED 2. I need a Spanish group or person to translate my current book, and future books, into Spanish. My publisher will do the editing and publishing once the translation it done. NEED 3. Re: My next book on our Belief System (not titled yet) I need a graphic artist. I’m having trouble drawing out something that needs artistic talent to get across my meaning. NEED 4. We will also need the Spanish Translator and Graphic Artist for our next series of Murder Mystery books that are currently in the process of being written. Fist book, rough draft is almost done! Yeah God! NUGGET: In our daily reading for the recovery group we were discussing the importance of humbleness. Someone brought up that those that are Meek (humble) are promised the earth as an inheritance (a legacy, a birthright). “Blessed are the meek for they shall inherit the earth”. Wow it was also said by Mike, in the group meeing; not only are the most humble people considered to be meek, not weak :-), but they are guaranteed the whole earth as a birthright, WoW! I’ll take Meekness any day! By Mike. WORD OF THE DAY: “Keysmash”, Noun. 1. a random string of letters and symbols typed out on a keyboard or touchscreen, used to signal intense emotion in written communication. THOUGHT FOR THE DAY: Step 3 of our AA 12 Steps and 12 Traditions states that, “Made a decision to turn our WILL and our LIVES over to the care of God as we understood Him.” AA Blue Book. Neither turning over my WILL or my LIFE to God came easy for me. I had other plans for ME. Those selfish plans didn’t turn out too well until I Let Go and Let God 🙂 Note: “If you want to make God laugh, just let him know what your own personal plans are” 🙂 He will get a kick out of that and, I’m sure He will smile on you with love and compassion regardless. p.s. Book(s) are still progressing, in spite of life’s challenges! I’m sure glad God doesn’t forgive me as I forgive others, whew! God is not slow to forgive but, sometimes I am, but I’m making progress! Thank God, in AA we believe on “progress not perfection”, yeah AA. “Making Alcoholics great again!”, by Lyle. WORD OF THE DAY: “KEYSMASH”, Noun; a random string of letters and symbols typed out on a keyboard or touchscreen used to signal intense emotion. THOUGHT OF THE DAY: Wow the aforementioned word for the day, “KEYSMASH” kind of defines my BLOG! “… typed on a keyboard …. used to signal intense emotion”, WOW. I just love it when God orchestrates stuff! Also, on another subject; I’ve decided to hire a book consultant who can find me a first class “literary agent” to help with promoting/marketing my existing, already published, book and to give both Carol and I an advantage for our Murder Mystery book series. We will be talking to him this week, paying $300 for that mini-consultation, and getting direction. We will also prepare our budget to invest in us, WE BELIEVE IN US, and pay for a more longer term contract. We have a degree of confidence that we have found the right man and agency…. we will let you know our total costs, what we get for it and how it works out, as we move along, on this BLOG …so stay in touch! I know its been two weeks, but THIS IS WORTH WAITING FOR! We will buy into Mark in November 2017 but If you try him before we do, please post into my blog with you experience and rating so we can all befifit. Now, back to your exclusive BONUS only for existing JCS Blog & Web Page followers and recent Jet Pack/WordPress Registered Users! One of our Income streams is from a business venture we have taken over 50 years and large amounts of money and/or time to get off the ground and maintain it, DONT WORRY, IT’S NOT THIS ONE that is our BONUS to you! The income stream, we found by mistake, is the BONUS to you that takes very little money & time , to set up, then very little time to maintain. The money, not a whole lot at first, but it’s consistent and will build, over a short time, with little effort. We found this BONUS by mistake because we had originally found it for our grandson, to make him a little extra cash, who is now making a lot of money with it. So we decided to try it and it is FRIKEN AMAZING! We had no idea until our grandson sent us a text saying, “…. you and grandma should try this too…!). So this is our BONUS only for existing JCS Blog & Web Page followers and recent Jet Pack/WordPress Registered Users! Please feel free to become financially free, like us, as you discover your FIRST BONUS (See Link Here by November 2017) and will also show you copies of our first checks, just because you are existing JCS Blog & Web Page followers and recent Jet Pack/WordPress Registered Users! Note: We can’t show you our grandson’s checks because that would not be ethical, but we can show you ours in November 2017 or sooner! Believe us, you will be able to ENJOY and TRUST this program, it REALLY WORKS, it worked for our grandson, it will work for us, and we belive it will work for you-if you work it, as they say in AA (Alcoholics Anonymous)! This exclusive BONUS will be our gift from us to you just because you are existing JCS Blog & Web Page followers and recent Jet Pack/WordPress Registered Users! By the way, Remember you can Buy the JCS Book at: AMAZON! We have not invested in our Literary Agent yet; pretty sure it’s going to be Mark Malatesta so were are corresponding with him now. We expect to sign up with Mark in November-December of this year. This will be, at first, to help us market “Journey to the Center of the Soul (JCS)” and to schedule TV, Radio, Web Presentations, Conference Speaking and other promotions. If it works out with JCS, and we fully expect it will, we will then hire him to do my next Self Help Book on believing (same genre as JCS) and then we will ask Mark to help us with our series of Murder Mystery Books (Title TBD)! Yay God! We will let you know “how we do” with Mark. We are already moving fast on our first draft, an outline is finished, of our first draft/first book of the Murder Mystery books. Carol and I are co-authoring the Murder Mystery Books. Regarding the book on belief; I have finished, improved on my outline on my belief book (Title TBD) and I continue to “fill in” the outline headings with context. I’m probably 1 year away from having a Publishable Rough Draft. I have finished my input of the Introduction on our rough draft of Murder Mystery and I will be helping Carol “fill in the context” with the rest of the outline on the First Murder Mystery Book (also 1 year away from submitting the rough draft to a publisher). By the way, as of 9/14/17, I have over 500 E-Mail registered BLOG readers! Thank you, all my Registered BLOG READERS! I will covet (protect) your E-Mails and I consider it a privilege to “bring you along” this Writer’s Journey from Book to Book. As most of you know, I am, as of today -4.54 years, 54.56 Months, 1,661 days CLEAN AND SOBER! (There’s an App for everything these days, even Recovery) 🙂 So. I work the program, daily, so it works for me to keep me clean and sober. One of the tools I use is to regularly go to AA meetings. I go 3 x a week. If I’m stressed out over an issue I call my sponsor or “battle buddies” (other guys in AA) and go to more meetings than I usually attend. The other sobriety tool I use is to serve by always helping to clean up, serve as a Secretary and Leader and share at the meetings when asked. These are all tools, as well as a few others, that I have to use to keep me Clean and Sober. It’s from my weekly meetings that I hear what I call “Nuggets” (things people share) that “hit home” and help me think and process my own recovery. As long as I don’t give you their full names (only first name) I can give them credit without compromising their anonymity. WORD OF THE DAY: “ZUGZWANG”, Noun; 1. Chess, a situation in which a player is limited to moves that cost… or have a damaging positional effect. SENTENCE: When I was a practicing alcoholic, my thoughts and decisions would consistently zugzwang me into problem situations for me, family and friends. THOUGHT OF THE DAY: Rember; We believe on “progress not perfection”, yeah! “AA, Making Alcoholics great again!”, by Lyle. Also, on another subject; 🙂 Remember our JCS (Journey to the Center of the Soul) Registered User’s Bonus is Coming Soon! (on or before 30 November! 🙂 Yay! Your writers; Dr. G. & Carol Aldana, San Diego, California. I AM WITHOUT EXCUSE because no matter what I describe to you as ” Life Problems” it is NO EXCUSE FOR ME because Everyone has “Life Problems” not just me. So I truly apologize from the bottom of my heart. I am SORRY and it was MY FAULT alone that I have been neglecting my BLOG and my COMMITMENT TO ALL OF YOU, my Faithful Readers. “So this is our BONUS PACK only for existing JCS Blog & Web Page followers and recent Jet Pack/WordPress Registered Users! Please feel free to become financially free, like us, as you discover your FIRST BONUS (See Link Here by November 2017) … Believe us, you will be able to ENJOY and TRUST this program, it REALLY WORKS, it worked for our grandson, it will work for us, and we believe it will work for you if “you work it”, as they say in AA (Alcoholics Anonymous)! Remember? Well, IT’S DONE AND WE ARE ONE MONTH AHEAD OF SCHEDULE FOR THE BONUS PACK! We have built the BONUS PACK JUST FOR YOU. Right now it’s being tested. The tests will probably take another week so hold on to your hats cause when this “puppy” launches it will provide some tested and personally recommended by us, (since we built it) a gift for you to become an independent writer (probably your first love, like with us, without having to worry about making money on your books. Like us, you’ll just be writing for the FUN of it and not just for the Money! OUR BOOK(S): We have not invested in our Literary Agent yet; pretty sure it’s going to be Mark Malatesta so were are corresponding with him now. We still expect to sign up with Mark in November-December of this year. This will be, at first, to help us market “Journey to the Center of the Soul (JCS)” and to schedule TV, Radio, Web Presentations, Conference Speaking and other promotions. If it works out with Mark for the JCS Book, and we fully expect it will, we will then hire him to do my next Self Help Book on Believing (same genre as JCS) and then we will ask Mark to help us with our series of Murder Mystery Books (Title TBD)! Yay God! We will let you know “how we do” with Mark on the JCS Book first as that plays out. We are still moving fast in our first draft, an outline is finished, of our first draft/first book of the Murder Mystery books. Carol and I are co-authoring the Murder Mystery Books. Regarding the book on Belief; I have finished, improved on my outline on my belief book (Title TBD) and I continue to “fill in” the outline headings with context. I’m probably 1 year away from having a Publishable Rough Draft. I have finished my input of the Introduction on our rough draft of Murder Mystery and I will be helping Carol “fill in the context” with the rest of the outline on the First Murder Mystery Book (1 – 2 years away from submitting the rough draft to a publisher). By the way, as of 10/14/17, I have over 550 E-Mail registered BLOG readers! Thank you, all my Registered BLOG READERS! I will covet & protect your E-Mails and I consider it a privilege to “bring you along” this Writer’s Journey from Book to Book. ON A PERSONAL NOTE: As most of you know, I am almost 5 Years Clean & Sober because of the AA program as well as Celebrate Recovery! 🙂 So. I work the program, daily so the program will work for me, to keep me clean and sober. One of the tools I use is to regularly go to AA meetings. I go 3 x a week. If I’m stressed out over an issue I call my sponsor or “battle buddies” (other guys in AA) and go to more meetings than I usually attend. WORD OF THE DAY: “VIM”, Noun; 1. Lively or energetic spirit. THOUGHT OF THE DAY: Rember; We are all related; not just biologically (human race) but experientially (hardships & joys). IT’S FINALLY HERE-THE BONUS PACK (IN A HOT LINK BELOW). THIS IS THE “BONUS PACK” I HAVE BEEN ASSEMBLING FOR THE LAST MONTH JUST FOR THOSE WHO HAVE BOUGHT “Journey To The Center of The Soul (JCS)” and For ALL OUR REGISTERED USERS, over 1000 now! REMEMBER, WE PROMISED YOU THE FOLLOWING WAY TO BECOME: “… free to become financially free, like us, as you discover your FIRST BONUS (See Link Here by November 2017)… just because you are existing JCS Blog & Web Page followers and recent Jet Pack/WordPress Registered Users! Note: WE BEAT THE PROJECTED DATE OF November 2017! We suffered through mom’s increasing dementia and quickly declining health. We had also experienced many great and memorable times together with mom, but then she passed on and we were devastated. With the stress of the last couple of years of mom’s 24 hour-a-day care and, as a result, our lack of any consistent sleep, our personal business was failing as well. There we were, in our 70’s, senior citizens ourselves, beginning to experience the physical and mental challenges of old age, facing a series of financial hurdles, trying to live on a fixed income, while in the “grieving process” over my mom’s passing away and then facing the unexpected possible loss of our home. • We did have a strong faith. • We had already navigated a lot of storms in our 31 years of marriage. • We began to pray together. • We began to look for answers. We were already retired. We in our 70’s, had been out of the job market for a while (me for 10 years and Carol for 5 years) and we soon realized that no matter how good our resumes looked, we were not that employable anymore. If you are of the Boomer or even Buster Generation you might understand how we were feeling. We also realized, if we were to sell an income asset we would, after the dust settled, be worse off financially than before because our modest means to financially survive would be cut down as we sold an income asset to pay a large tax bill. We learned that with www.cgawol1.com we could take a small budget, and with some diligent study and hard work, we could Quickly learn how to become Digital Marketers, in a relatively short period of time. With the www.cgawol1.com program was Tailored for those of us who considered ourselves to be Computer Illiterate yet teachable and age didn’t matter! Yeah! We immediately realized that with www.cgawol1.com we not only would be able to market our existing product (i.e. books) but also market other companies products, especially www.cgawol1.com itself, which Frankly,www.cgawol1.com Product was the fastest way to help us out financially. All we had to do was work hard and fast from the comfort of our home, at our pace, and we could DO THAT, even at our age! So we went to the Web Page, scrolled down to watch a Short Video, and we quickly realized because of www.cgawol1.com great training process, in a very short period of time, and even though we were computer illiterate, we could build our own Digital Marketing Funnel with our first product (i.e. www.cgawol1.com training) and we recently launched it, including affiliate sites! Our Prayers were being answered, we were back in the ballgame again! Because of www.cgawol1.com, we will be able to increase our support for our causes (i.e. Military Veterans, Homeless, Rescue Animals, Church Ministries, etc.)! Because of www.cgawol1.com we will be able to go from zero to hero in a short period of time. Because of www.cgawol1.com we are trading a situation of despair and hopelessness for a journey of hope, excitement, and dreams that can come true. We don’t know how much longer www.cgawol1.com is going to keep offering this program. Nothing lasts forever, especially when it’s this good. Just Click Here Now! www.cgawol1.com and you’ll Discover Another Way Of Life! WORD OF THE DAY: “INTRAPERSONAL”, Adjective; 1. … aware of your strengths and weaknesses. THOUGHT OF THE DAY: Rember; “Everyone Visualizes, whether they know it or not. Visualization is the ‘Great Secret of Success’. Dr. G.
DO IT NOW, BEFORE IT’S TOO LATE! Don’t Pass this one up! Don’t let this One slip by you! Wow, our “Registered Users” List is now flying off the charts! I guess the word is getting out about the Bonus Pack for Registered Users. IT’S FINALLY HERE-THE BONUS PACK (IN A HOT LINK BELOW). THIS IS THE “BONUS PACK” I HAVE BEEN ASSEMBLING FOR THE LAST MONTH JUST FOR THOSE WHO HAVE BOUGHT “Journey To The Center of The Soul (JCS)” and For ALL OUR REGISTERED USERS, over 1500 now, and Climbing Fast! REMEMBER, WE PROMISED YOU THE FOLLOWING WAY TO BECOME: “… free to become financially free, like us, so you can Focus on your Writing and not worry or be concerned about the money your book produces or the cost of Publication, as you discover “A WAY OUT” with this, your FIRST BONUS (See Link Here by November 2017)… just because you are existing JCS Blog & Web Page followers and recent Jet Pack/WordPress Registered Users! NOTICE: OUR WEB PAGE: www.cgawol1.com IS NOT WORKING WELL (we are fixing it), SO PLEASE SEE “THE AMAZING SECRET” LINK INSTEAD and WATCH THE VIDEO TO REALLY LEARN ABOUT “THIS AMAZING SECRET” THAT IS OUR FIRST BONUS TO YOU, OUR “REGISTERED USERS”. THIS IS BONUS TO YOU AND “THE SECRET” HAS OUR HIGHEST RECOMMENDATION AS A WAY TO MARKET YOUR BOOK(S) AND OTHER PRODUCT/SERVICES YOU MIGHT HAVE. ON ANOTHER IMPORTANT NOTE: If FaceBook does not allow our Hot Links again, and all you get is the words “AMAZING SECRET” on the post. NOT TO WORRY; We are making a Private Auto Response Bonus Offer JUST FOR JCS Registered Users (You) and Only You will get the same “Let me tell you our Story” page with the Hot Links to “The Amazing Secret”. Look for it, from us, Next week or sooner. Our advisors have advised us thusly and therefore, Carol and I have decided to put our “Belief” book on hold, for now, and focus in on the Unique Set of Murder Mystery Book(s), a series of Books, instead. We have a new excitement as we press on with the First of the Murder Mystery Books (Title will be disclosed to our readers only when we sign our next contract). Next couple of months we will also be signing a contract with a Literary Agent to help us find a better Publisher and Add to our Marketing Campaign that we CAN NOW construct ourselves, thanks to the “Amazing Secret” we found. We will let you know of our choice for Literary Agent, what we paid and what service we expect to receive when we sign the contract. You, our registered users will be the first to know! WORD OF THE DAY: “NETIQUETTE”, Noun; 1. The rules of etiquette that apply when communicating over the computer network, especially the internet. THOUGHT OF THE DAY: Thoughts are Magnetic and have a Frequency all their own. Your thoughts are sent out to the Universe and Magnetically Attract (Law of Attraction) All things that are on the same frequency. In other words, Everything sent out returns to the sender, the source, that’s you J. That can be Awesome or Devastating, however you make it! So Make your Thoughts Great, make your Thoughts AWESOME! Dr. G.
The www.cgawol1.com Web Site is working well again. I think we fixed it. Please let us know if you are having any problems with it and we’ll “go back in a fix that as well. IT’S FINALLY HERE-THE BONUS PACK (IN A HOT LINK BELOW). THIS IS THE “BONUS PACK” I HAVE BEEN ASSEMBLING FOR THE LAST MONTH JUST FOR THOSE WHO HAVE BOUGHT “Journey To The Center of The Soul (JCS)” and For ALL OUR REGISTERED USERS, over 1800 now, and Climbing Fast! NOTICE: OUR WEB PAGE: www.cgawol1.com IS WORKING WELL NOW! WE FIXED IT! THE AMAZING SECRET IS OUR FIRST BONUS TO YOU, OUR “REGISTERED USERS”. THIS IS BONUS TO YOU AND “THE SECRET” HAS OUR HIGHEST RECOMMENDATION AS A WAY TO MARKET YOUR BOOK(S) AND OTHER PRODUCT/SERVICES YOU MIGHT HAVE. As we wrote last week; Our advisors have advised us to put our “Belief” book on hold, for now, and focus in on the Unique Set of Murder Mystery Book(s), a series, instead. We are currently reviewing the way our protagonists, as children first met, in grade school, as well as the helpers they first saw with amazement. We are also re-working their first childhood “case” in elementary school. It’s not a murder but it’s the first time they met and worked with each other and realized they had helpers that were Amazing! This is all in Chapters One and Two of the Very First Volume of our 1st Murder Mystery Book in the series. In our next Post we will let you know more about this first book as we proceed …! TODAY’S NUGGET: “The Spiritual substance, from which comes all visible wealth, is never depleted. It is right with you all the time and responds to your faith in it and your demands on it” Charles Filmore. WORD OF THE DAY: “RAPPROCHEMENT”, Noun; 1. An establishment or re-establishment of harmonious relations. Wow, our “Registered Users” List is now flying off the charts and still growing strong! I guess the word is getting out about the Bonus Pack for Registered Users. REMEMBER, WE PROMISED YOU THE FOLLOWING WAY TO BECOME: “… free to become financially free, like us, so you can Focus on your Writing and not worry, or be concerned about the money your book produces or the cost of Publication, as you discover “A WAY OUT”. This is it! This is your FIRST BONUS just because you are an existing JCS Blog and/or Web Page follower and recent Jet Pack/WordPress Registered Users! SO Now you can either go to THE AMAZING SECRET-NOW and see our introduction to an “AMAZING SECRET” our you can go directly to: “THE AMAZING SECRET” LINK INSTEAD and WATCH THE VIDEO TO REALLY LEARN ABOUT “THIS AMAZING SECRET”. DON’T FORGET TO DOWNLOAD YOUR FREE -loaded with Secrets-PDF! As we wrote last week; Our advisors have suggested we put our “Belief” book on hold, for now, and focus in on the Unique Set of Murder Mystery Book(s), a series, instead. We are currently reviewing the way our protagonists, as children first met, in grade school, as well as the helpers they first saw with amazement. When the book hits all the usual digital retail outlets, but even before anyone has a chance to buy and read the book. We will Release, to all our faithful “Registered User’s” Only, the full disclosure of all the details of the book AND the Series as well as some Special Historical facts in a SPECIAL SECRET AUTHORS PREVIEW SUMMARY OF “(Title TBD)”! We can’t disclose the Title yet either because that would also “Tip Off” some unsavory people (I had people steal from our 1st book “Journey to the Center of the Soul” before it was in stores). So, Live and Learn right :-)? We are also currently re-working our Protagonists first “case” as youngsters. It’s not a murder but it’s the first time they met and worked with each other and the “Helpers” come into the picture! This is all in Chapters One and Two of the Very First Volume of our 1st Murder Mystery Book Series. We have a new excitement as we press on with the First of the Murder Mystery Books (Title will be disclosed to our readers only when we sign our next contract and our New Publisher is ready to Upload to the Digital Stores). The Latin and Hebrew Language (I speak and write in both Languages). Certain Fraternity & Sorority research. A Certain Villenous Name (if anyone has suggestions, let us know) I like the Lady Villen on 101 Dalmations but, obviously, I can’t use that one :-). Within the next few months, we will also be signing a contract with a Literary Agent to help us find a better Publisher and Add to our own personal Marketing Campaign that we CAN NOW construct ourselves and launch FOR FREE because we OWN THE MARKETING FUNNEL and know how to Use It! Yeah! This is all because we found the “Amazing Secret” and have just past it on to you “Pay It Forward”, which, by the way, was why we picked up this New Skill Set, was to Digitally Market our own books. It turned out that, as a “by-product” for us, In The Process, we are also able to Make Some Extra Money (a lot if we want to) while we Market our own books. Awesome Huh!??! On a previous note regarding our forthcoming Literary Agent; We will let you know of our choice for Literary Agent, what we paid, and what service we expect to receive when we sign the contract. You, our registered users will be the first to know! WORD OF THE DAY: “EBULLIENT”, Adjective; 1. Overflowing with fervor, enthusiasm, or excitement. Your Authors; Dr. G. & Carol Aldana, San Diego, California. IT’S FINALLY HERE-THE BONUS PACK (IN A HOTLINK BELOW). THIS IS THE “BONUS PACK” I HAVE BEEN ASSEMBLING FOR THE LAST MONTH JUST FOR THOSE WHO HAVE BOUGHT “Journey To The Center of The Soul (JCS)” and For ALL OUR REGISTERED USERS, over 1800 now, and Climbing Fast! REMEMBER, WE PROMISED YOU THE FOLLOWING WAY TO BECOME: “… free to become financially free, like us, so you can Focus on your Writing and not worry, or be concerned about the money your book produces or the cost of Publication, as you discover “A WAY OUT”. This is it! This is your FIRST BONUS just because you are an existing JCS Blog and/or Web Page follower and recent WordPress Registered Users! We will be sending you an Official EMail SOON That will have our (Greg & Carol Aldana) Picture on it. LOOK FOR IT SOON! We are in Chapter 4 (Rough Draft) of the 1st Book. The Series Title and Chapter Titles will be given to our “Registered Users” soon. We are also currently re-working our Protagonists first “case” as youngsters. It’s not a murder but it’s the first time they met and worked with each other and the “Helpers” come into the picture! Now, in Chapter 4, they in College and in the additional Chapters there is going to be something very Special that is going to happen and will change the lives of both of our Protagonists Forever! We just purchased 7 More books for research. We usually use Amazon Prime to order our research and other books. We buy hard copy books because we like to mark them up for reference to any book we might be writing (we use a special technique and reference “Character Traits”). Note: For books we are reading, just for our own pleasure/interests, we usually purchase a digital book, that we can download them into our phones and read them at any time and most any place. We found another good digital reference for this series of books at: wordhippo.com We will probably put some of the definitions in the book so the reader doesn’t have to look it up themselves. However, sometimes we will not, if it lends to the Mystery! We are in the process of “Tweaking In” the Latin equivalent words right now so we can stay on this particular track. Dr. G (Greg) speaks and writes in Latin and the Hebrew Language. We are researching Certain Popular 4th dimension Books (we will disclose later, Certain Sports terminology, Certain School Curriculums, Certain School Campus maps, Certain Fraternity & Sorority research, Specific University Campus maps, Certian US States, Certain Foreign States, A Certain Villenous Name (if anyone has suggestions, let us know) I like the Lady Villen “Deville” on 101 Dalmations but, obviously, I can’t use that one :-). Within the next few months, we will also be signing a contract with a Literary Agent to help us find a better Publisher and Add to our own personal Marketing Campaign that we CAN NOW construct ourselves and launch FOR FREE because we OWN THE MARKETING FUNNEL and know how to Use It! Yeah! (see www.cgawol1.com). We will let you know of our choice for Literary Agent, what we paid, and what service we expect to receive when we sign the contract. You, our registered users will be the first to know! Our “Registered Users” List is now flying off the charts! I guess the word is getting out about the Bonus Pack for Registered Users. We are now over 2000 Registered Users and climbing! IT’S FINALLY HERE-THE BONUS PACK (IN A HOTLINK BELOW). THIS IS THE “BONUS PACK” I HAVE BEEN ASSEMBLING FOR THE LAST MONTH JUST FOR THOSE WHO HAVE BOUGHT “Journey To The Center of The Soul (JCS)” and For ALL OUR REGISTERED USERS, over 2000 now, and Climbing Fast! REMEMBER, WE PROMISED YOU THE FOLLOWING WAY TO BECOME: “… financially free, so you can Focus on your Writing and not worry or be concerned about the money your book produces or the cost of Publication, as you discover “A WAY OUT” with this, your FIRST BONUS. You all get the Bonus Pack just because you are an existing JCS Blog & Web Page followers and recent Jet Pack/WordPress Registered Users! Note: WE BEAT THE PROJECTED BONUS PACK AVAILABILITY DATE OF November 2017! You will all be added to our Updates (Blog User-Auto Responder), you’ll see one a day for a while unless you unsubscribe. Note: Please feel free to unsubscribe if you like; We know what it’s like to get too many Emails J but we hope you’ll like these. As you already know, Carol and I have decided to focus in on the Unique Set of Murder Mystery Book(s), a series of Books and we are So Excited as we continue to write! We have just started Chapter 8 of approximately 30 Chapters of the 1st Rough Draft of our Book 1 of the Murder Mystery Series. We have a new excitement as we press on with the First of the Murder Mystery Books (Title will be disclosed to You our Blog readers when we sign our next contract with our new Literary Agent) which we will be doing in the next few months. Our Literary Agent will help us find a better Publisher and Add to our Marketing Campaign that we CAN NOW construct ourselves, thanks to our discovery of the “Amazing Secret”. We are still doing extensive Story research as we continue to develop the first rough draft. We are also still developing (i.e. who all the supporting characters are, what they do for a living, how they will interact with our protagonists, how their roles fit into the murder and/or the solving of the murder.) We are still developing our protagonist’s “back stories” and other unique character traits of the Murder Mystery Team (i.e. Protagonists, and 4 other Unique Team Members). We will disclose more about the other Team Members when we finish our Contract with our New Literary Agent and the contract is signed with our New Publisher. (Not Page Publishing in New York). We will let you know of our choice for Literary Agent, what we paid and what service, and what we expect to receive when we sign the contract. You, our Blog Followers and Especially our Registered Users will be the first to know! Hello again faithful readers. I have to admit, I am so ashamed that I haven’t blogged since November. I have had two different surgeries, one 5 hr major surgery, since November but that is still no excuse. Please forgive me. Mea Culpa (from my heart). REMEMBER, WE PROMISED YOU THE FOLLOWING WAY TO BECOME: “… financially free, so you can Focus on your Writing and not worry or be concerned about the money your book produces or the cost of Publication, as you discover “A WAY OUT” with this, your FIRST BONUS. You all get the Bonus Pack just because you are an existing JCS Blog & Web Page followers and recent WordPress Registered Users! The good news is that our faithful readers, “Registered Users” List, is now flying off the charts! I guess the word is getting out about the Bonus Pack for Registered Users. We are now over 4000 Registered Users and climbing! So for those who are interested in this Faithful Reader’s Bonus Pack; IT’S HERE- We have been asked serveral times to re-instate the Faithful Reader’s THE BONUS PACK so here it is (IN A HOTLINK BELOW). THIS IS THE “BONUS PACK” WE HAVE BEEN ASSEMBLING FOR THE LAST MONTH JUST FOR THOSE WHO HAVE BOUGHT “Journey To The Center of The Soul (JCS)” and For ALL OUR REGISTERED USERS, over 4000 now, and Climbing Fast! You will all be added to our Faithful Reader’s Updates (Blog User-Auto Responder), feel free to unsubscribe at any time, it won’t hurt our feelings 🙂 and you will still get to follow our BLOG- our Amazing Murder Mystery Writer’s Journey. You’ll see one EMail a day for a while, later once a week, unless you unsubscribe. We have just started Chapter 9 of approximately 30 Chapters of the 1st Rough Draft of our Book 1 of the Murder Mystery Series. We have a new excitement as we press on with the First of the Murder Mystery Books (Title will be disclosed to You our Blog readers FIRST, when we sign our next contract with our new Literary Agent) which we will be doing in the next few months. Our Literary Agent will help us find a better Publisher (not PAGE PUBLISHING) and Add to our Marketing Campaign that we CAN NOW construct ourselves, thanks to our discovery of the “Amazing Secret”. We are still doing extensive Story research as we continue to develop the first rough draft. We are also still developing (i.e. just a couple more left of all the supporting characters, what they do for a living, how they will interact with our protagonists, how their roles fit into the murder and/or the solving of the murder.) Now we are “Tweaking” our protagonist’s “back stories” and other unique character traits of the Murder Mystery Team (i.e. Protagonists, and 6 other Unique Team Members). We will disclose more about the other Team Members when we finish our Contract with our New Literary Agent and the contract is signed with our New Publisher. (Not Page Publishing in New York).